I've opened a fair amount of OPC blasters in Retail Review, but I think this may be the first time busting a blaster of the 14/15 release. I'll have to go back into the archives and check.... but I don't remember ever opening up one of these! Though OPC is a low end brand, it definitely has its own charm and is fun to open. OPC is a brand that isn't too far away from its hobby counterpart when it comes to what you find in the product. Of course, the hobby version does have a few exclusive cards as well as easier odds on hitting autographs and hits, but in general, this set is for set collectors... and a blaster will provide collectors with plenty of cards to add to their build. I have always loved the fact that OPC is still printed on good old fashioned cardboard. For this fact alone I hope they never stop making OPC. There's just something about cardboard that is RIGHT. I'm can't expect too much in terms of big value cards here. In fact, I don't expect any big hits at all. This is not the place to look if that's what you're going for. What I hope to find is some fun inserts and cards to enjoy. If I do happen to get a hit I would be very happy though. Nope, nothing huge as I expected, but I always have a good time with O-Pee-Chee. These cards definitely remind me of the times when I'd buy packs and packs of Topps, Fleer, and Donruss and get close to the sets little by little. I'm pretty sure I got the normal allotment of insert cards to come out of a blaster. There were parallel cards, rookies, legends, and a die-cut. All in all there were plenty of cards to enjoy. I especially liked finding players that I never really ever get to find in card sets. So often you just see the same guys over and over again in sets like UD SP, Trilogy, and even Ultra. It's refreshing to see a set that really stuff itself full of many of the NHLers in the league. 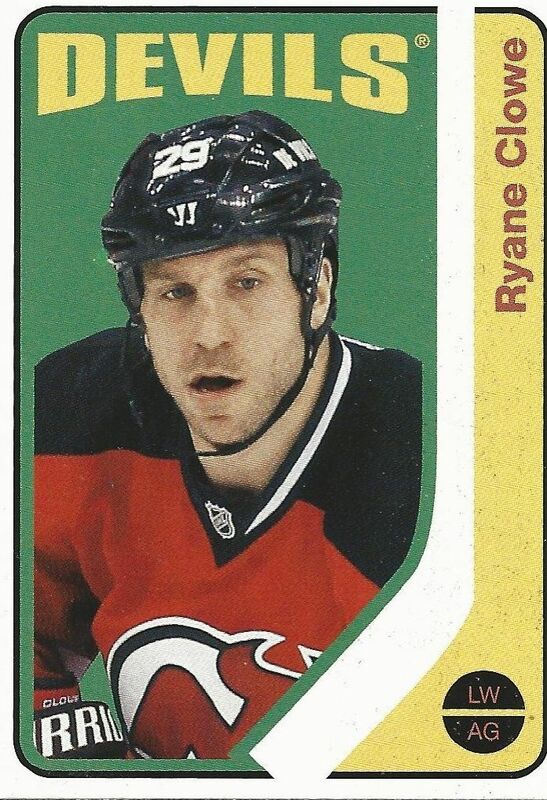 You guys know that Ryane Clowe was one of my favorite Sharks players ever, so getting his cards in my packs is always a plus. I totally miss his toughness and crazy antics he used to pull on the ice! Remember that time he hit the puck while on the bench against the Canucks and the refs didn't see it? Good times. 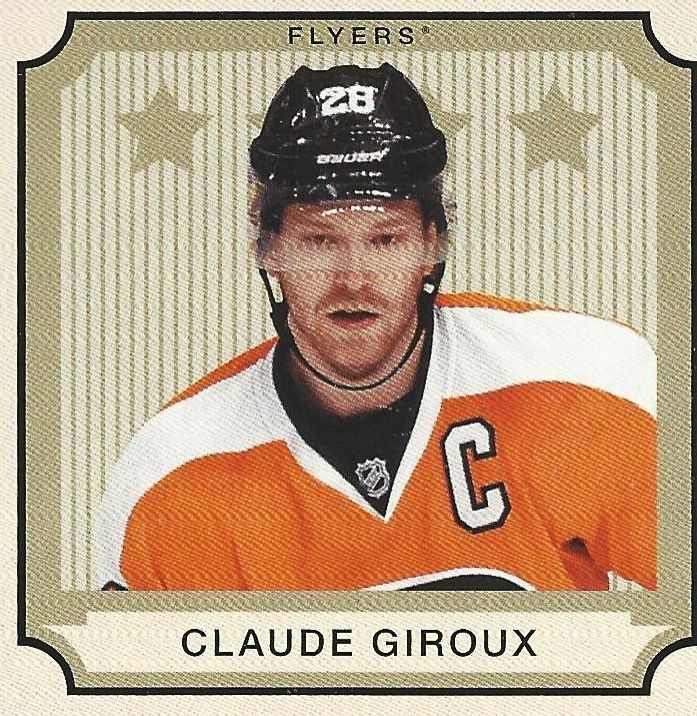 I called this a die-cut in the review, but it's more of just a mini square card rather than die-cut. Anyways, it's a cool card to find in the blaster. These cards may night be the easiest to store, but I like it when card companies mix it up a bit with things like this in products like OPC. 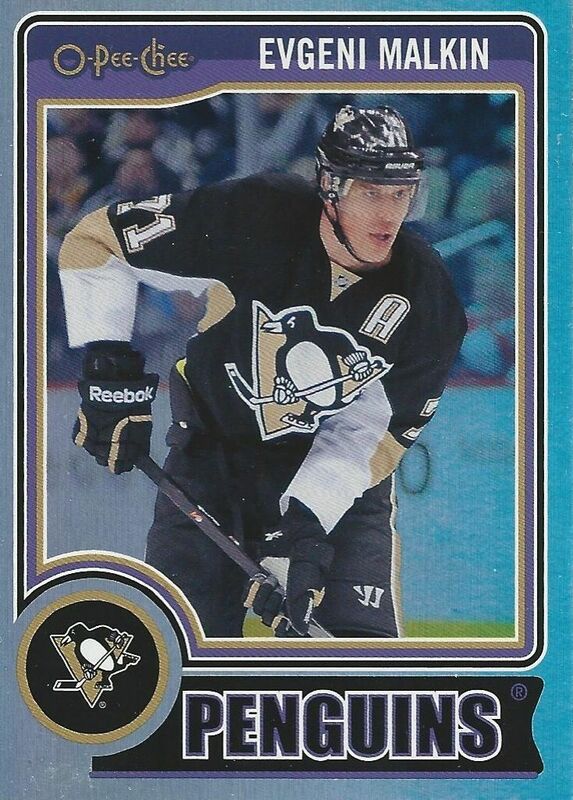 25 years ago I would have been ecstatic to pull a parallel card of a star player like Malkin. Today, I'm just mildly happy with it. Still, getting great parallel cards out of a huge set like OPC is pretty cool. For about ten dollars collectors can enjoy a fun breaking experience. OPC gives you enough packs to really draw out the time you spend opening cards. 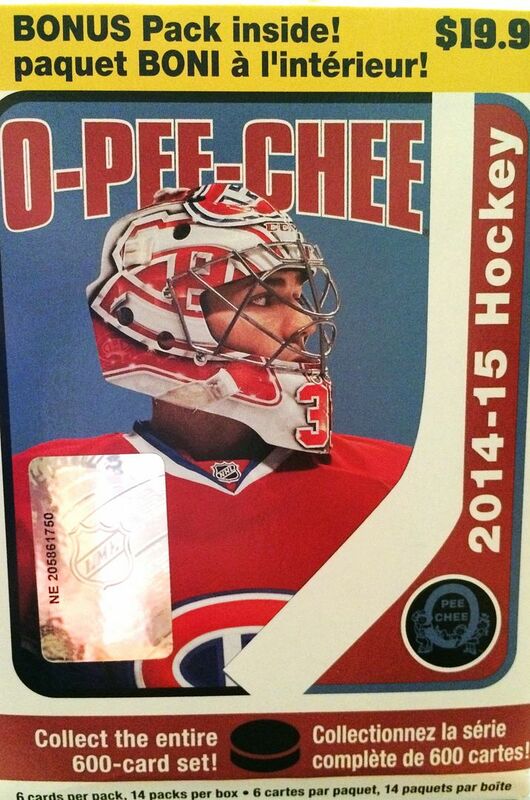 I really enjoy the OPC cards, and I can see why people still try to collect the entire set. I'm looking forward to my next blaster of OPC in Retail Review!